Evan Kready of E.K. 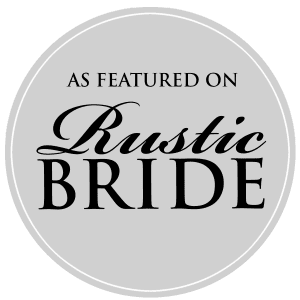 Property Services is one of the talented and creative people who have been working with The Delaware County Historical Society remodeling the historic 1840’s barn into The Barn at Stratford Event Venue. Evan says “I’ve been busy doing some remodeling at The Barn at Stratford. 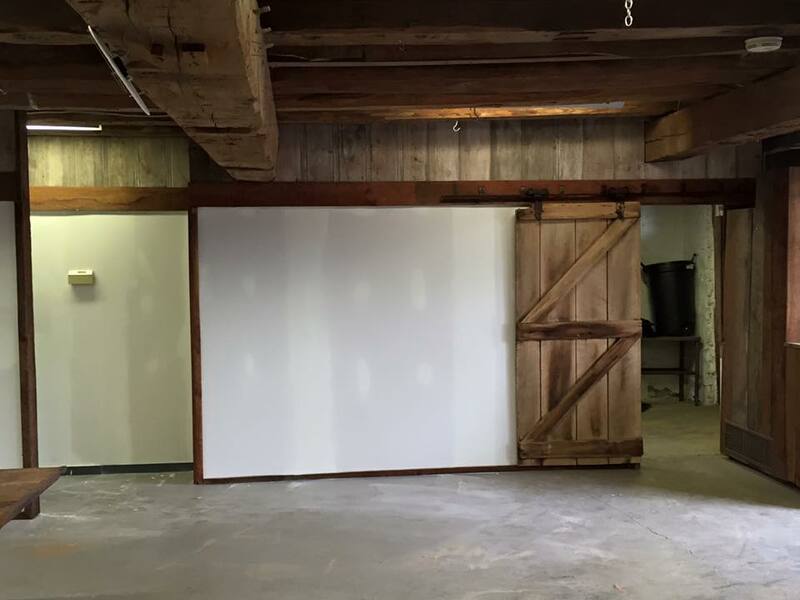 We’re using all reclaimed barn lumber for the trim, as well as a reclaimed sliding barn door.” He recently posted some great pictures on his facebook page and has allowed us to post them. 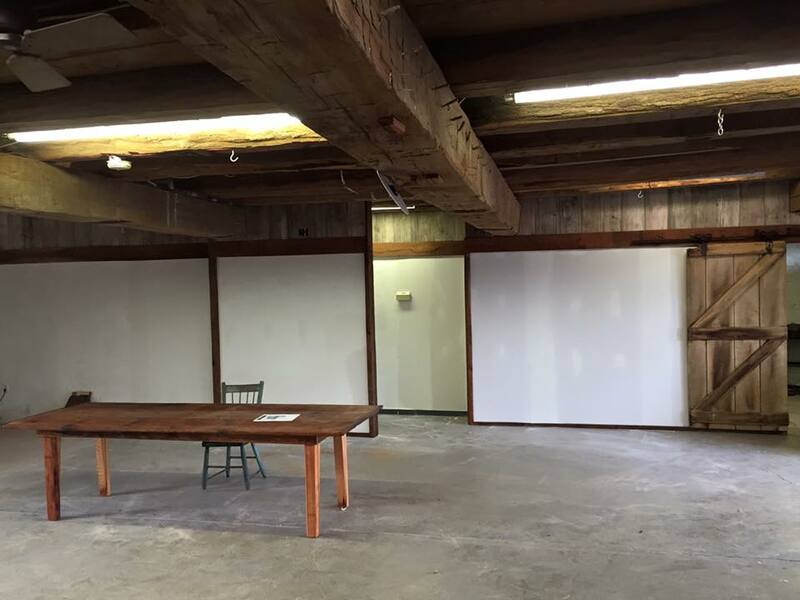 With the Auction Office removed, the Event Gallery has newly opened space. The walls have been painted to complement the white stone interior walls and trimmed in wood trim to match existing woods. 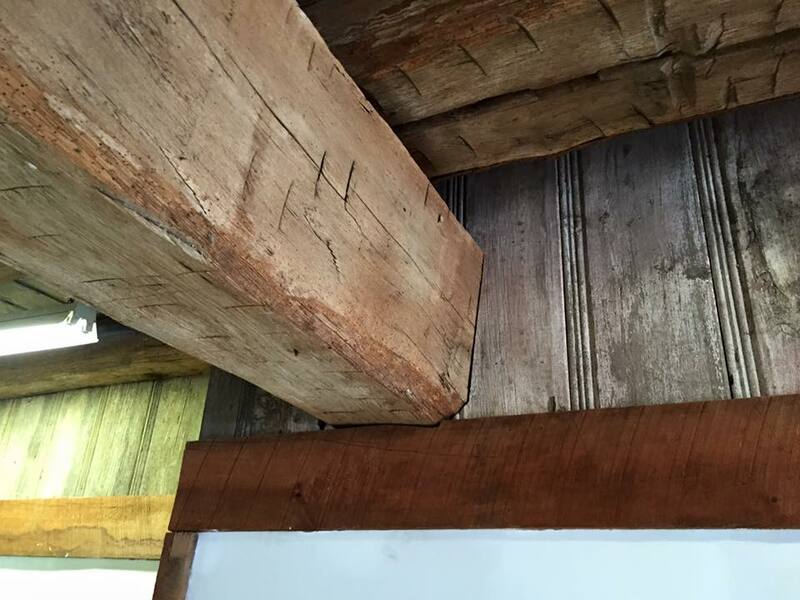 The 1840’s beam looks right at home with the wood wall crafted from barn wood. Barn doors open and close on trolleys suspended from iron rails to make the heavy doors manageable. 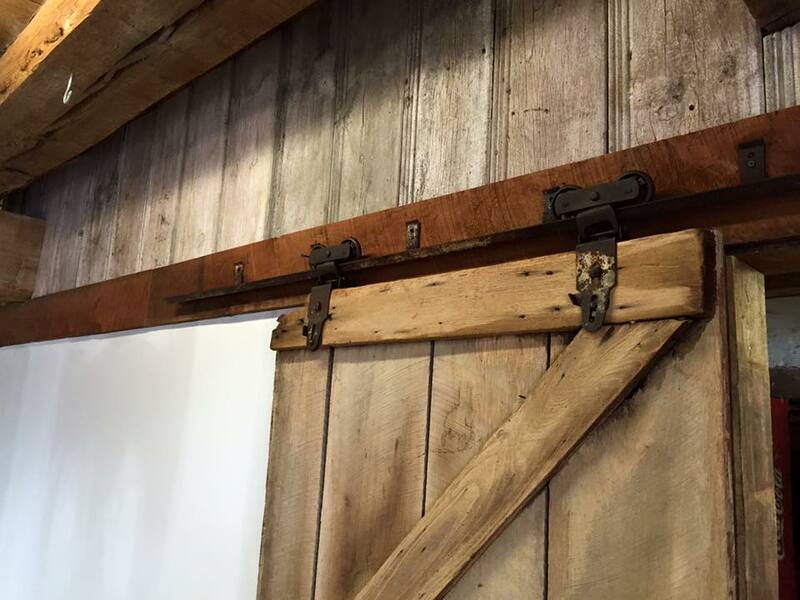 We have recreated that tradition for the Prep Kitchen Door using hardware and wood from local barns. 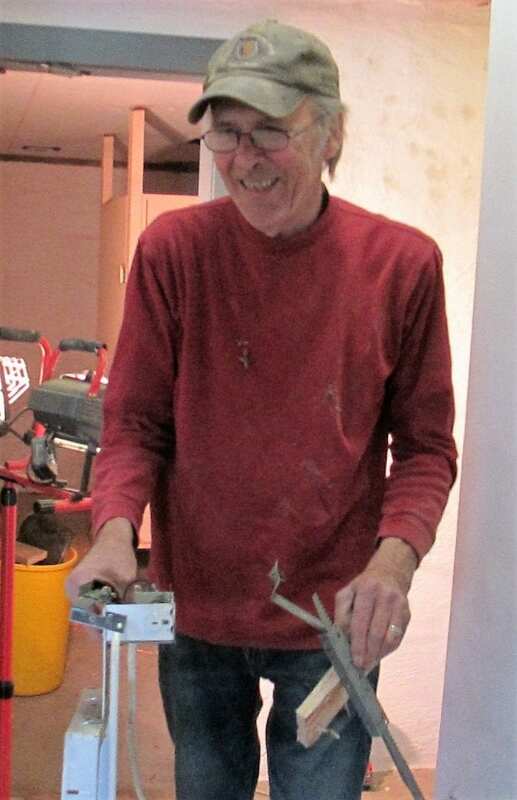 Mike Hoffman is a former Board Member, a skilled craftsman, and a barn owner himself. 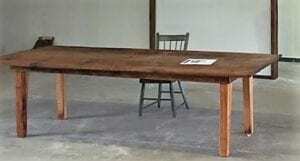 At right is a beautiful work table that Mike just crafted from rescued barn wood. The work continues at The Barn at Stratford as we bring the amenities to an 1840’s barn that will make your event historic and comfortable.